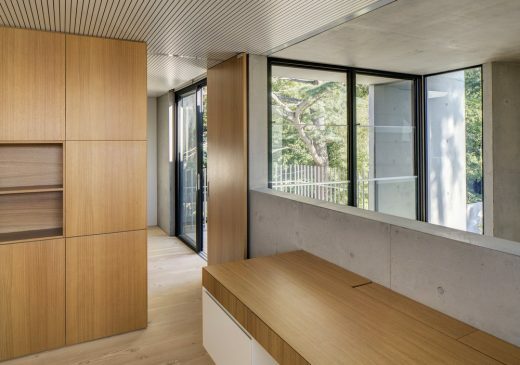 The project is primarily focused on the interconnections of cloistered spaces, created and selected framed openings. 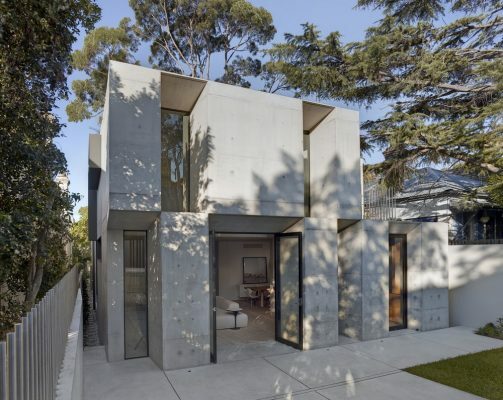 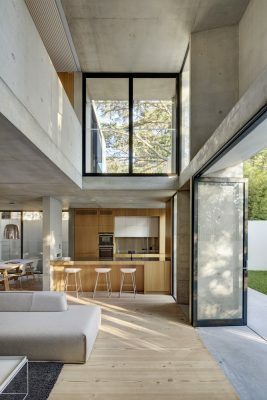 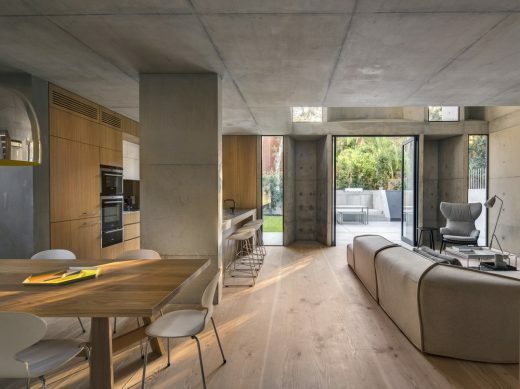 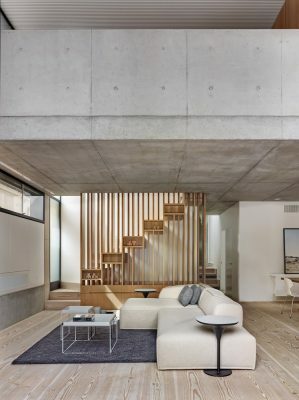 The outer concrete elements contrast with the timber elements that further define the various internal zones and functions within the house. 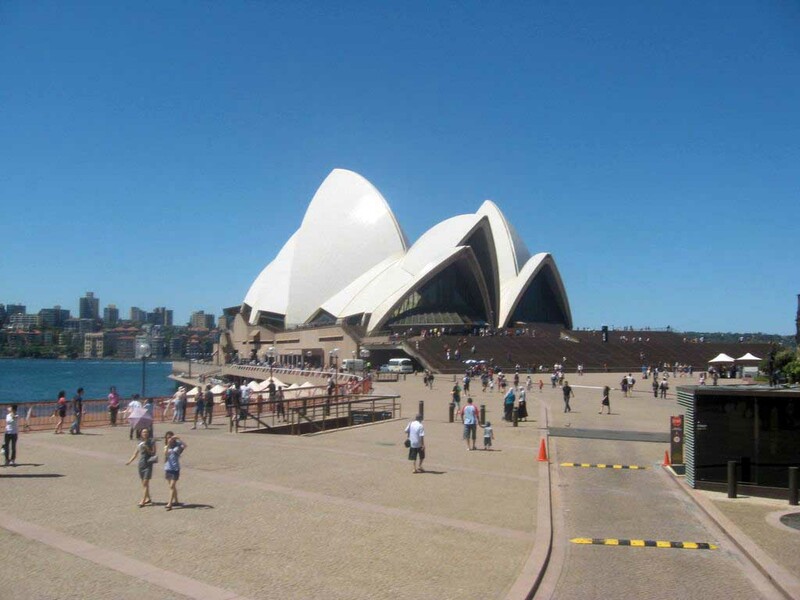 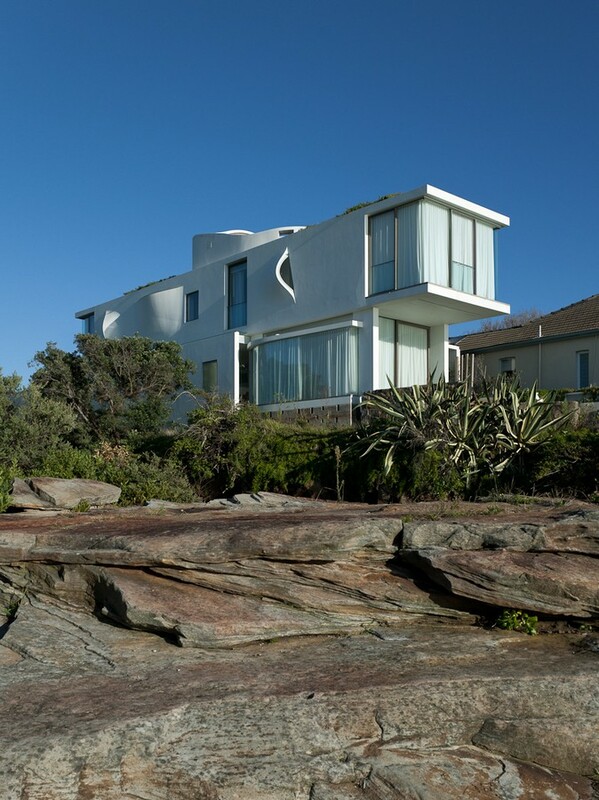 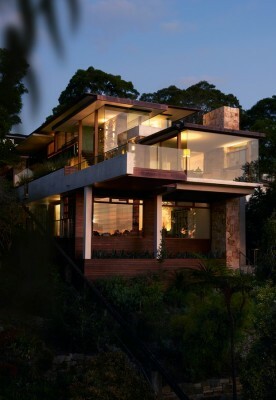 The stacking of the elements of the facade are contrasted by the seeming point loading at the exterior. 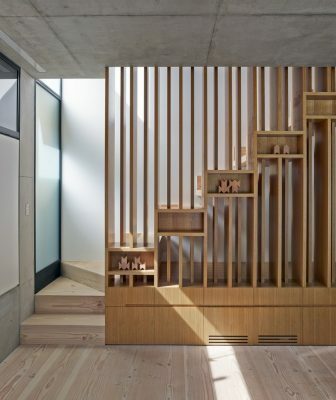 The interior reveals the alternate nature where the structural loads are revealed. 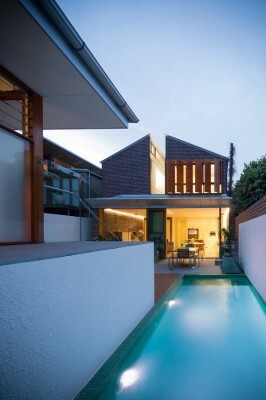 This duality through the facade re emphasizes the nature of the threshold space itself. 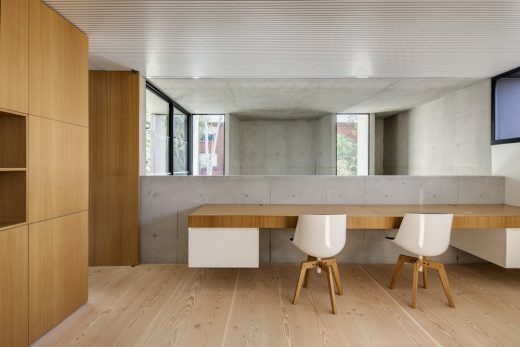 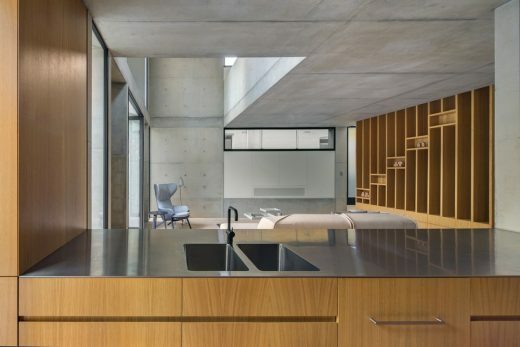 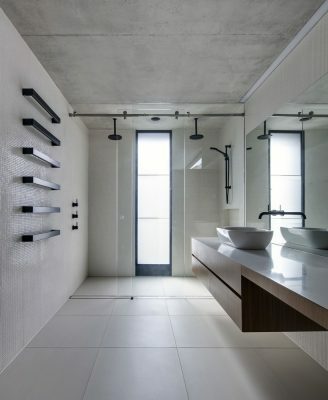 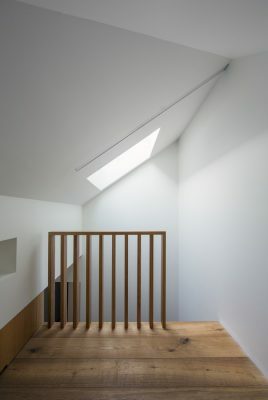 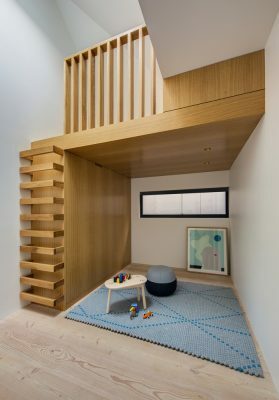 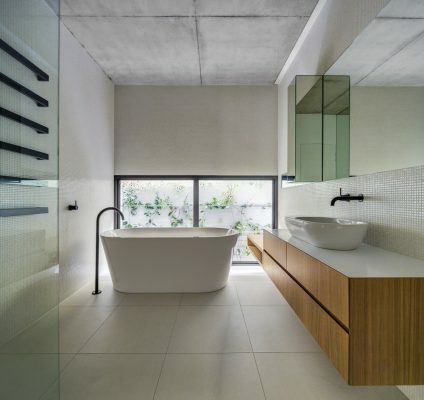 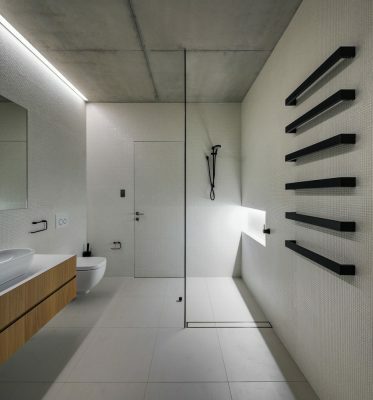 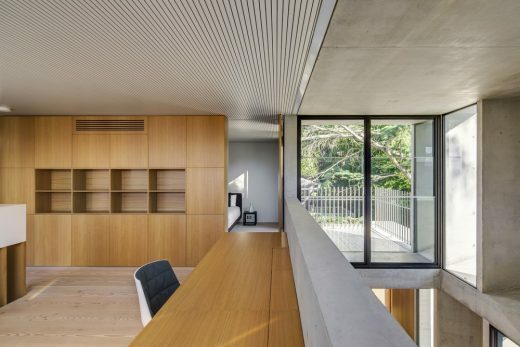 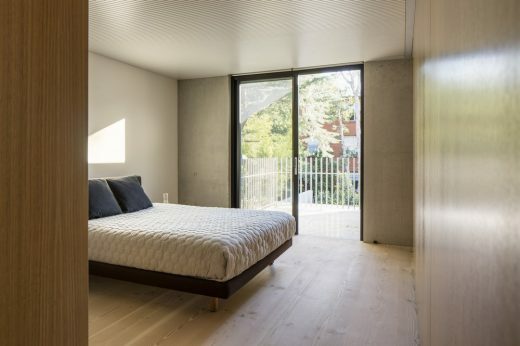 Complimenting materials of near raw continuous length floor boards and a restrained palette of black aluminium, black steel, stainless steel and oak appear throughout the house and create a cohesive connection between original and new. 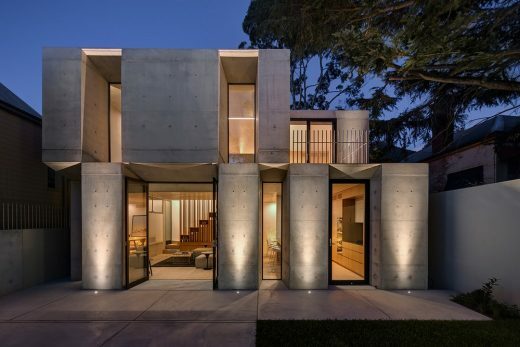 These materials were selected, partially, so as not to compete with the ornate patterning of the original house along with their own inherent qualities.